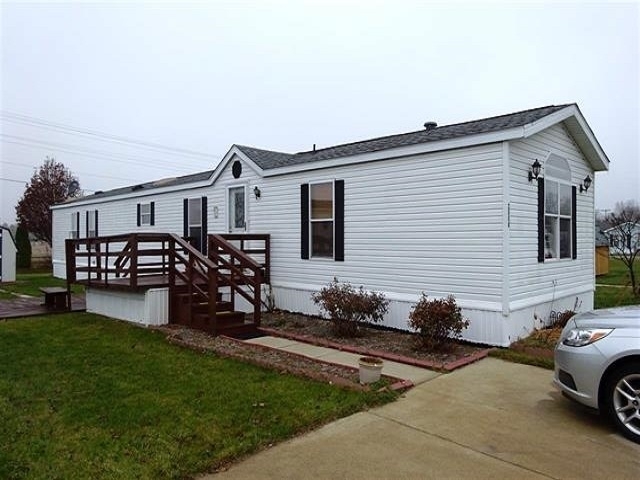 1280 sq ft 16x80 3 BR, 2 bath mobile home; 6" exterior walls w/drywall interior; Vaulted ceilings; 2 skylight; Newer floor coverings; All appliances stay including washer and dryer. Clean and neat; 2 storage sheds; Located in Country Meadows. Directions:Main Street south to 18th St, West to Sweetgum Rd, South to Country Meadows entrance. Take first street on right to 2nd home on right. Sign in window. Listing provided courtesy of GOTTSCHALK REALTY, INC.